Dress shirts always look good, but frequently seem more trouble than they are worth. I’ve always liked to wear men’s dress shirts with jeans, but did not like ironing them, paying to have them laundered, or sewing on missing buttons. Now, it is easier than ever with MagnaReady® self-buttoning dress shirts. Fashion trends for men seem to change slowly, whereas women’s trends can drastically change from season to season. However, like anything else, there are some fashion staples that never go out of style. 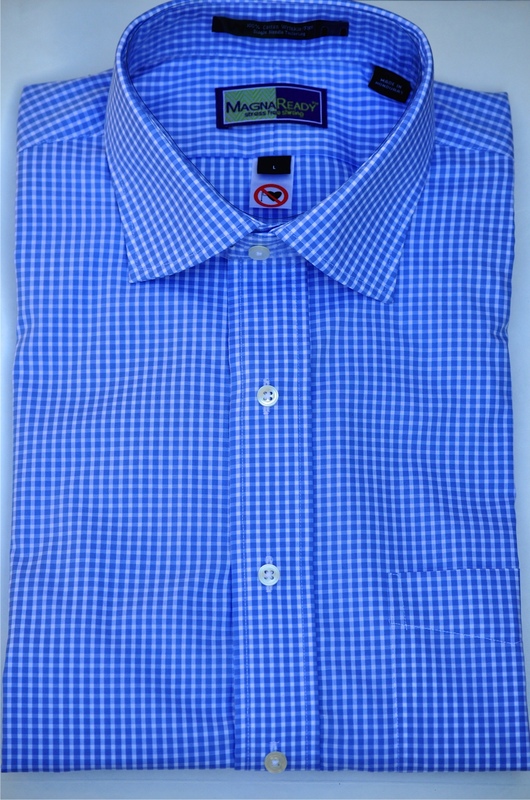 MagnaReady® has added a techie twist on this for classic dress shirts. This shirt has the ability to button itself, even the cuffs, with the power of hidden magnets. I was eager to test this out, but I wanted to discover more while I was waiting for my sample to be sent and put to the test. Maura Horton came up with the MagnaReady® shirts. I would rather quote the next part than rewrite this inspiration. To someone who is not aware, this shirt looks like any dress shirt. The secret is that buttons down the front are for looks. Behind the buttons, imbedded in the fabric placket, are powerful magnets that lock with magnets on the other side that provide secure closure. I was amazed at how fast and secure. The same is true for the cuffs. You have a crisp looking shirt without messing with tiny buttons and buttonholes. 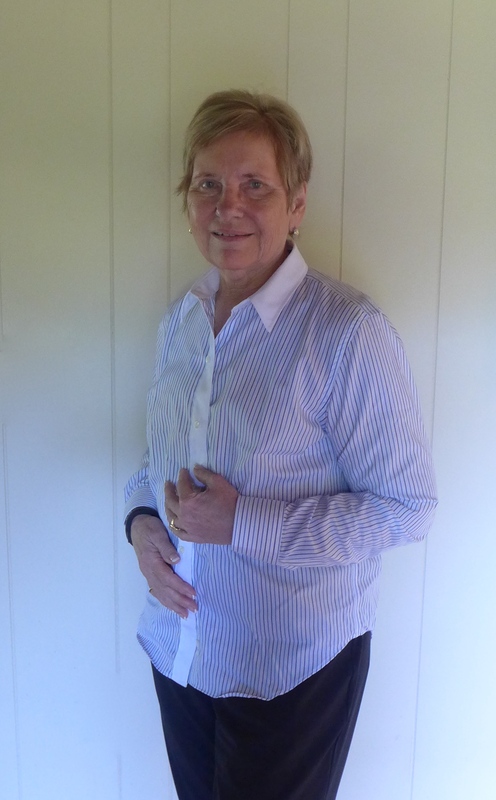 These shirts are wrinkle-free, as well as stain resistant, with barrel cuffs and a spread collar on women’s shirts. It can be dressed up with a suit or sleeves can be rolled up for a casual look. It’s an ideal shirt option for nursing moms with only one free hand. Here were three tests that really mattered to me. I wore mine to the airport, wondering what would happen at security. Going through the x-ray, nothing. I did show the TSA agent how it snaps open and asked if it would have set off the walk-through detector, and she said “Yes, by all means.” So you should keep that in mind if flying. The second test was washing. 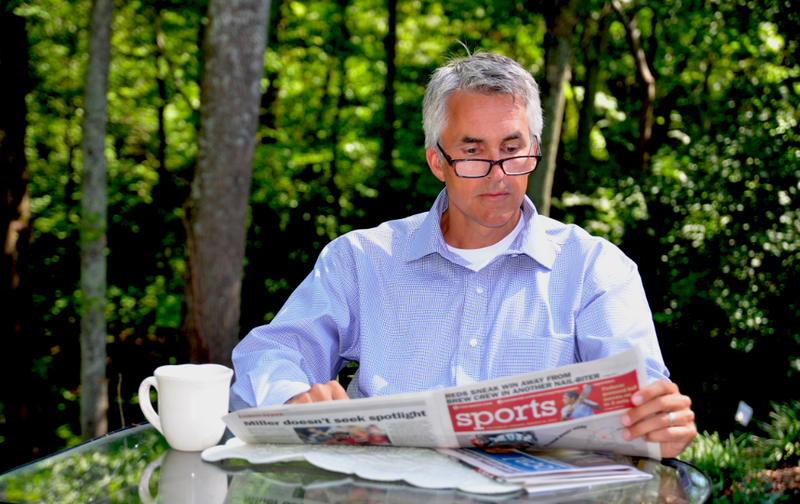 MagnaReady® dress shirts are stain resistant and best of all, machine washable and wrinkle-free. Before you wash them, press the shirt closed so the magnets are stuck to each other. That enables the shirt to tumble around the wash cycle and not attach to the machine. I washed mine and it looks as good as new. My third concern was the heart-warning label. I called Maura Horton for more details, as I was concerned about those who had pacemakers. For example, Maura’s husband has one. Companies that manufacture pacemakers have tested it, and those implanted since 2010 do not have a problem. However, MagnaReady® stresses that individuals should check with their own physicians to determine if they feel this garment is safe for them to wear. 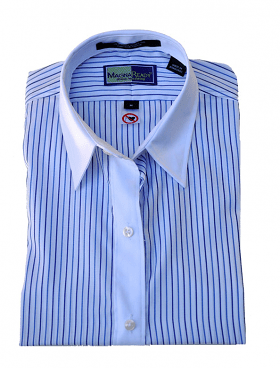 MagnaReady® women’s dress shirts are currently available in blue stripes or solid white in a size range of extra-small through extra-large. The MSRP for the MagnaReady® shirt is $64.95 or two shirts for $119.00 with free shipping. Men’s shirts, which have been on the market longer, have a broader selection which you can check out on their website. I did not expect to like this shirt as much as I do, and I think I will order a couple for my husband. They are great for traveling as well as at home. For more information, visit: www.magnaready.com. To read the Luxe Beat Magazine version of this article click on the title Fashion Goes High-Tech with Self-Buttoning Dress Shirt. NextWhat Do Mamie Eisenhower, Ronald Reagan, And Queen Elizabeth II Have In Common? It is terrific. I gave it a great test in Greece and had also wore, washed and hung dry before I wrote the review. For anyone with difficulties, it would be fantastic. Thanks for commenting.